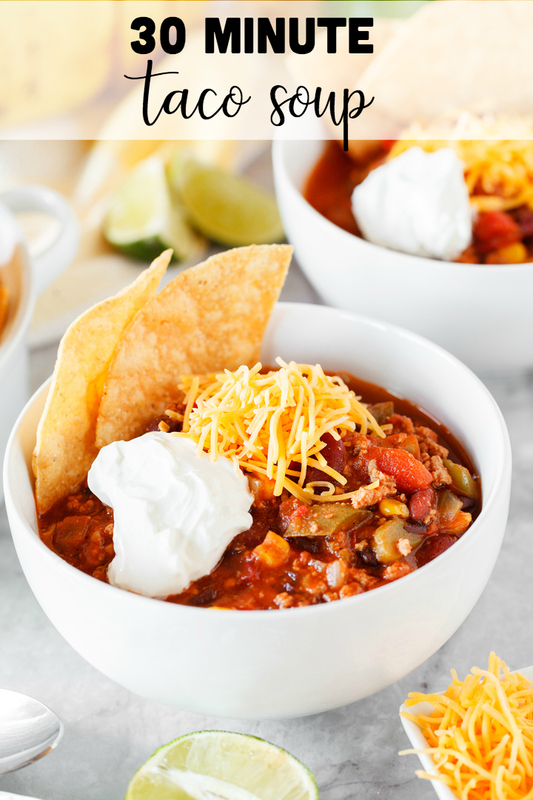 Warm your insides with this delicious 30 Minute Taco Soup that you can make in only 30 minutes! It’s the perfect quick fix dinner! One of my favorite fall/winter meals is a bowl of soup! Lately the weather has been starting to cool down and it immediately gets me into the soup making mood. 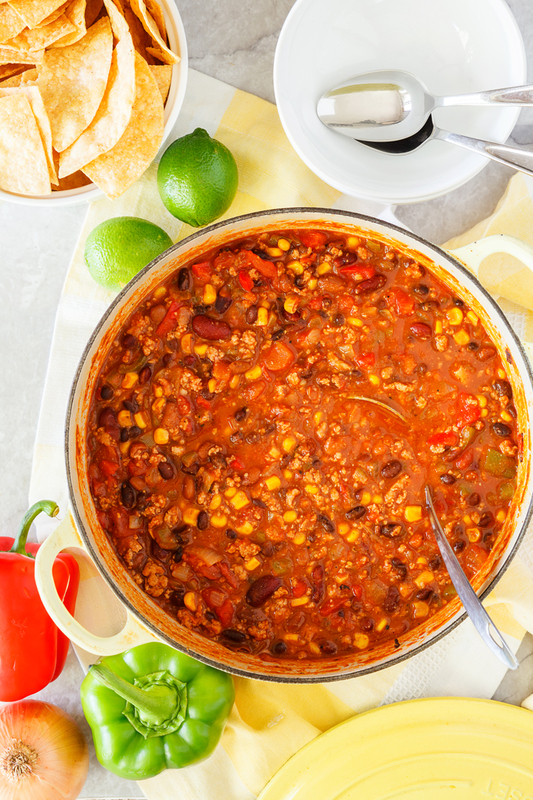 This 30 minute taco soup is not only simple but tastes delicious too! It’s packed full of ground beef, beans and tomatoes! 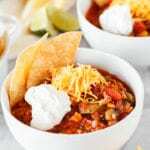 To lighten this taco soup you can also swap the ground beef for ground turkey or venison, which is one of my husbands favorite during hunting season. 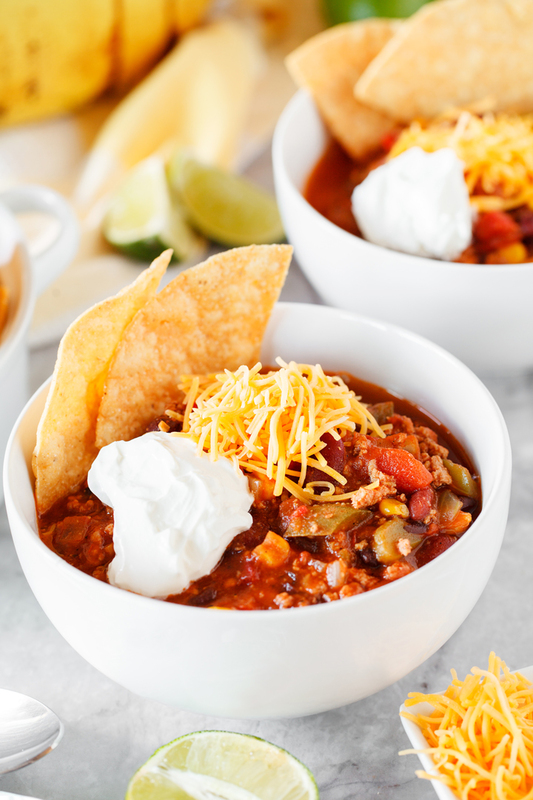 The best part about this taco soup is that it only takes about 30 minutes until it’s on your table and ready for your family! It only require one pot-which means less mess! The only thing better than a dinner that can be made in less than an hour is a recipe that can be made with very few dishes! 🙂 You can also throw all of the ingredients in a slow cooker and let it cook for the day. I would brown the hamburger first before putting it in the slow cooker. Set in on low for 6 hours and let the flavors blend together perfectly! I promise your house will smell amazing! 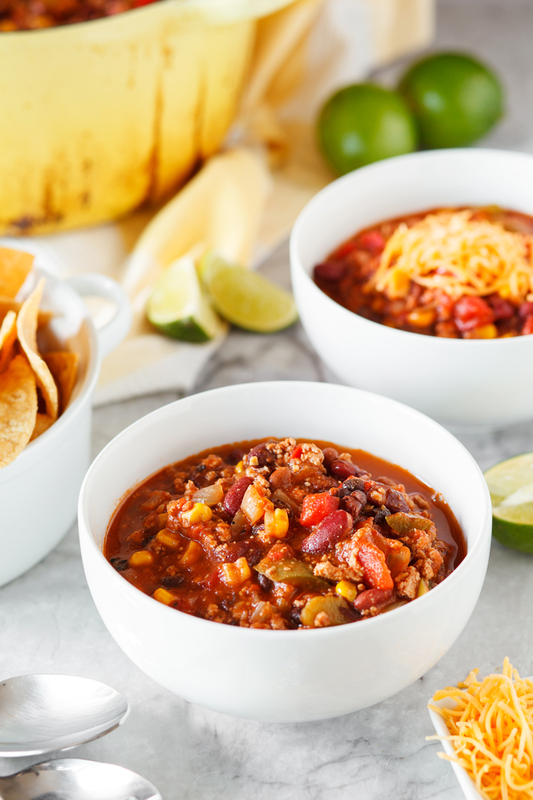 Warm your insides with this delicious 30 Minute Taco Soup that you can make in only 30 minutes! It's the perfect quick fix dinner! Brown hamburger in a medium saucepan. Add green peppers and onions and saute until slighty tender. Add in the remaining ingredients and allow to simmer on medium/low heat for about 15-20 minutes. *Add more beef broth as needed- this soup thickens pretty quickly. Top your 30 minute Taco Soup with sour cream and cheddar cheese or just leave it alone. 🙂 It’s great served with cornbread, tortilla chips or crackers! If you like this soup you should try these! I love this recipe and have made it multiple times. YUM! Any idea of the calories per serving? And if so, for what serving size? I’m counting calories and would like to make note of this info. I can’t wait to try this out. Sounds like it’s going to be amazing!